Development of national qualification frameworks (NQFs) is a global phenomenon, leading to stronger cooperation among countries and regions. Cedefop, the ETF, UNESCO and the UNESCO Institute for Lifelong Learning monitor global developments of national qualifications frameworks (NQFs) and regional frameworks (QFs). How is this collaboration effected? In 2013, the four institutions jointly published the first global inventory of regional and national qualifications frameworks (thematic chapters and regional and national cases), covering over 140 frameworks developed and introduced over the past decade. In 2015, the second edition of the global inventory of regional and national qualifications frameworks (thematic chapters and national and regional cases) was published. In 2017, the third edition of the global inventory was finalised giving an update of the national qualifications frameworks around the world. The two-volume publication presents current data, and analyses national qualifications frameworks in 100 countries spanning five continents, in seven regional qualifications frameworks. The individual country chapters are supported by eight thematic chapters on transversal analysis of the most important issues in qualifications frameworks, such as: purposes and impact of NQFs; qualifications frameworks as catalysts for lifelong learning and recognition of non-formal learning; and qualification frameworks promoting international and global communication and cooperation and comparability of qualifications. The aim of the inventory is to share knowledge with experts and officials and inform decision- makers and bodies implementing national and regional frameworks. 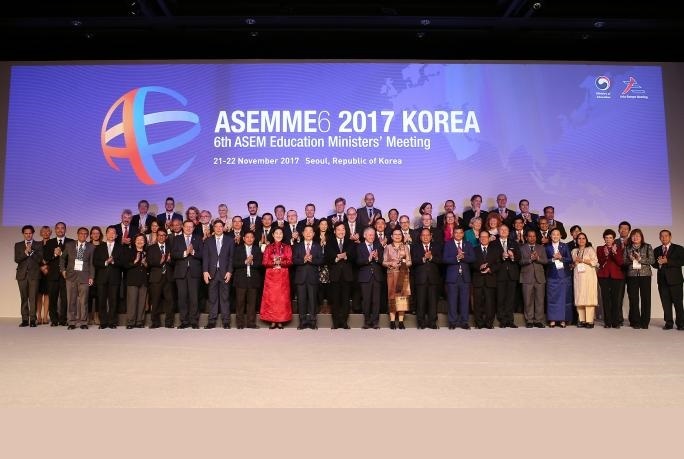 The findings of the second edition were presented at the fifth Asia-Europe Education Ministers’ Meeting (ASEM ME5) in Riga, Latvia. Outcomes reveal that over 150 countries worldwide are now developing and implementing qualifications frameworks. These frameworks can be found in all regions of the world, but they are more established in Europe, South Africa, the Pacific and some Asian countries. The number of qualifications frameworks has not grown much from the last edition of the global inventory in 2015. However, between 2015 and 2017, there has been a trend towards strengthened regional cooperation between NQFs. This is not only the case in Europe, where the European qualifications framework (EQF) is fully operational, but can also be observed in Asia, in relation to the adopted ASEAN qualifications reference framework and the (re-)starting of the SADC cooperation with the SADC regional framework. Most NQFs share similar aims: they support the transparency of qualifications and their comparison, enable lifelong learning and the recognition of qualifications, including from other countries. Although each NQF is unique as part of the national education, training and institutional structure, most NQFs share common principles and features: a level structure, a learning outcomes basis, and quality assurance functions. Research and evidence on NQF uses, contribution and impact is growing as NQFs become more embedded. The highest impact can be seen in: defining learning outcomes in qualifications; improved transparency of qualifications systems; validation of non-formal learning; stakeholder engagement in qualifications and across education sectors. Lower impact is observed in: visibility for learners and employers; and pathways within national systems. There is also growing global cooperation at technical expert level, such as though work on world reference levels, led by UNESCO.